The ETV or Extra Terrestrial Vehicle – ETV was built by Mike Vetter who owns a car customization company called The Car Factory. 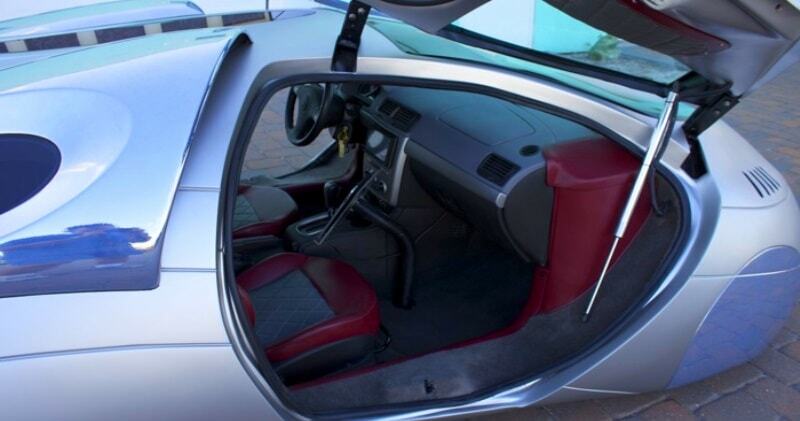 It was made by stripping the body of a Chevy Aveo from the frame of the car, and replacing it with a futuristic shell. This futuristic machine boasts a 270 horsepower engine with Lamborghini gull-wing style doors, a Ferrari-styled body an LED color changing lighting system under the car, a camera at the front of the car to avoid hitting curbs and many other features. Some of the cars we have used in the past to create the ETV are ” Chevy Cobalt, Chevy Cobalt SS, Chevy Aveo, Toyota Echo, Honda Insight, Toyota MR2, Electric drivetrain, Porsche Boxster. And Yes the ETV is street legal with all DOT glass and lights. It’s a neat looking thing, but it wasn’t cheap. It was originally listed on eBay for $89,000, but some lucky buyer ended up walking away paying only $71,000 for it. 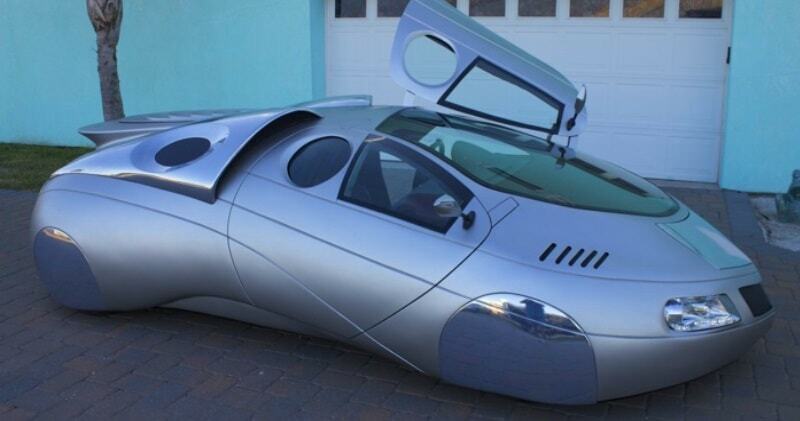 The Mike Vetter Extra Terrestrial Vehicle is a true, one-of-a-kind car, with scissor doors, gull-wing windows, a Chevy 2-liter supercharged motor, dual batteries, and an interior that is all leather, suede and aluminum. This exclusive futuristic ETV is sure grab attention wherever it goes.